There are two things in the MCU that must change with every film. One is Black Widow’s hairdo and the other is Tony Stark’s Iron Man suit. Ever since the Mark I blasted out of that cave in Iron Man, he’s been refining the design until we got the Mark L nanotechnology variant in Infinity War that was so powerful that it let him go toe-to-toe with Thanos for a while. 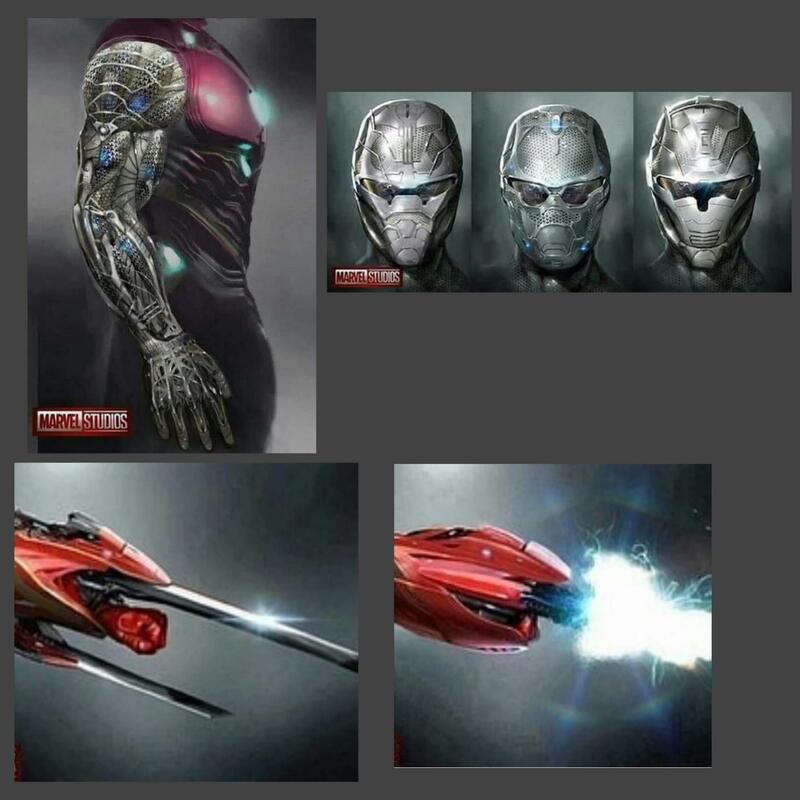 And if this leaked concept art below proves to be genuine, then it seems like Avengers 4 will show us the continuation of this design. As you can see, it follows on from the Infinity War suit’s modular weaponry, able to transform between an energy blaster and some kind of blade. There’s also an interesting bio-mechanical look to the arm. I presume this will be under the traditional red and gold outer coating, but it could hint at a fuller integration between Stark’s body and the suit. Then again, if this indeed an upgrade, then it’ll have to have some pretty spiffy features if it’s to be a step up from what came before, which was already stronger, faster and more durable than any suit he’d designed in the past. Of course, if recent rumors are to be believed, this could very well be Tony Stark’s last piece of armor. After all, Robert Downey Jr.’s contract is now fulfilled and there’ve been clues throughout the filming of Spider-Man: Far From Home that Stark’s going to be absent from the MCU by that point. We’ll get a better idea of what’s going on when that first Avengers 4 trailer drops, which’ll be sometime before this Christmas, but right now, it’s sounding like he hasn’t got long left. And if that’s the case, and this does prove to be the last Stark-designed Iron Man suit, then at least it looks like he’s not going to go down without a serious fight.